France is to ban the sale of petrol and diesel cars by 2040, under plans outlined by the country’s newly-appointed environment minister. The Climate Plan will ban the sale of all vehicles that emit greenhouse gases. Nicolas Hulot, Minister of Ecological and Solidary Transition, said the move was aimed at encouraging carmakers “to innovate and become market leaders”, adding that fossil fuels “belong to the 19th and 20th centuries” – the Climate Plan also includes an end to coal power stations. 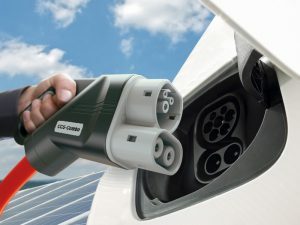 Notably, the ban would mean an end to the sale of hybrid, plug-in hybrid and range-extended electric vehicles as well as conventional petrol or diesel models – as all of these have an internal combustion engine. In the meantime, the government will move to end the favourable taxation on diesel fuel, bringing it in line with petrol. A scrappage scheme for vehicles which are ineligible for a Crit’Air sticker – diesels made before 2001, and petrols before 1997 – will also be introduced to help people buy newer, less polluting models. Unlike the scrappage scheme in the UK, grants will be offered against new and used vehicles. France is aiming to become carbon-neutral by 2050, and the Climate Plan has been devised to accelerate the country’s commitments under the United Nations Paris Agreement on Climate Change. This aims to keep global temperature rises under 2°C this century, compared to pre-industrial levels, but to aim for a rise of less than 1.5°C. Globally, only three countries – Syria, Nicaragua and the United States of America – are not part of the agreement. France is the fourth European country to announce plans to ban petrol or diesel vehicles from being sold; Germany wants this in place by 2030, while last year the Netherlands confirmed similar plans by 2025 and Norway said it was working towards the same deadline.